Is this the best Sashimi Kingfish recipe you've tried? 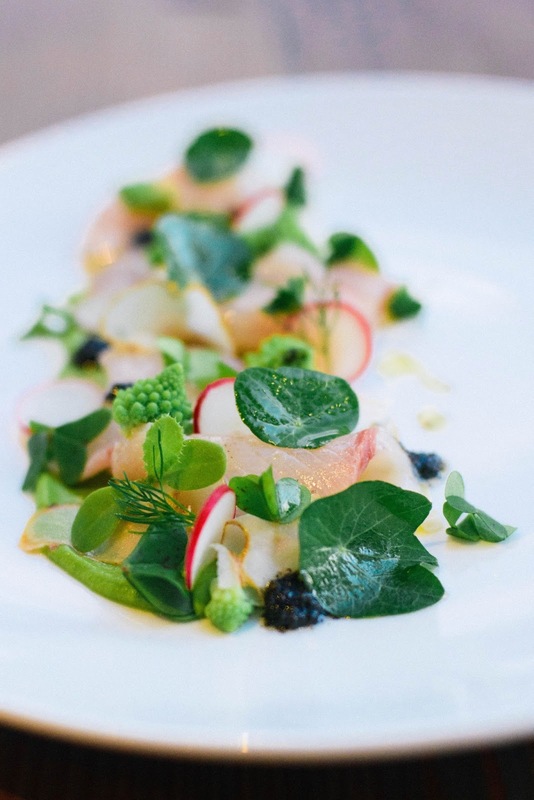 This great Kingfish sashimi recipe is from Electrolux Australian Young Chef 2011, Richard Ousby. Richard is now sous-chef at Quay Sydney - rated number 48 in the World’s Best 50 Restaurants. finely chop the cauliflower keeping a couple of the florets for garnish. In a small pot sweat the shallots and garlic in some olive oil and add the cauliflower and water placing a tight fittin g lid on to keep the moisture in, cooking until almost tender. Then add the spinach and parsley cooking for a further 4 minutes. Remove from the stove and puree the hot mixture in a blender and blend on high till very smooth making sure there are no lumps. Season with salt and pepper to taste then pour the mixture into a small bowl and chill in the freezer for 10 minutes. You can store this in the fridge until required for up to 3 days. in a small blow, mix together the vinegar, sugar and salt. Thinly slice the Artichokes, place in a container or bowl and dress immediately with the vinegar mix to prevent them going brown. Seal and store in the fridge till required. • fresh is best. Make the sashimi the day you catch the kingfish. If buying sashimi fish make sure you purchase it on the day you are using it from a good fish monger. • pickled vegetables can be made in advance and are great to have in the fridge as they are great with grilled meats of in salads.